a large vein on either side of the neck that is formed by the union of the internal jugular and subclavian veins. The two veins drain blood from the head, neck, and upper extremities and unite to form the superior vena cava. 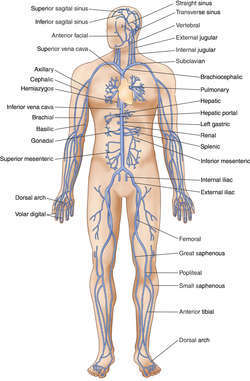 Also called brachiocephalic vein. 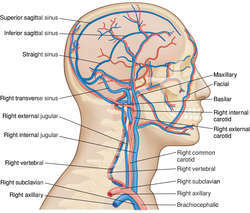 One of a pair of veins which drain the head and upper chest by way of the JUGULAR and SUBCLAVIAN veins. The two innominate veins join to form the SUPERIOR VENA CAVA. Successful pacing lead implantation has been reported after angioplasty and stent dilation of superior vena cava and innominate vein obstructions (16). Obstruction involved subclavian vein in all cases and also extended into innominate vein in only one case. Stent dilation of superior vena cava and innominate vein obstructions permits transvenous pacing lead implantation. When the space between the ascending aorta and sternum, inferior to the left innominate vein, was exposed, an abnormal mass, just left to the confluence of bilateral innominate vein, was identified. sup] concluded that if the mediastinal parathyroid gland(s) was located below the innominate vein, a VATS or sternotomy was necessary. 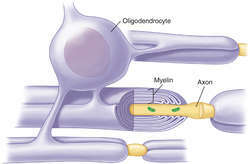 It contains the origins of the Sternohyoidei and Sternothyreoidei and the lower ends of the Longi colli; the aortic arch; the innominate artery and the thoracic portions of the left common carotid and the left subclavian arteries; the innominate veins and the upper half of the superior vena cava; the left highest intercostal vein; the vagus, cardiac, phrenic, and left recurrent nerves; the trachea, esophagus, and thoracic duct; the remains of the thymus and some lymph glands. 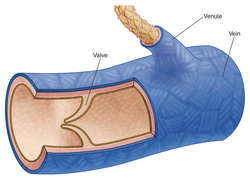 Fistula formation with the common aortic arch, common carotid artery, superior and inferior thyroid artery and innominate veins have also been reported. If the venous-distending pressure is sufficiently high, air can be aspirated not only from the SVC just above right atrial level, but also from high in the SVC or innominate veins (3).